Most Interventional Cardiologists throughout Europe support a radial-first approach for PCI. And more and more Interventional Radiologists and Neuro Radiologists admit that radial access plays a prominent role in an operator’s practice. 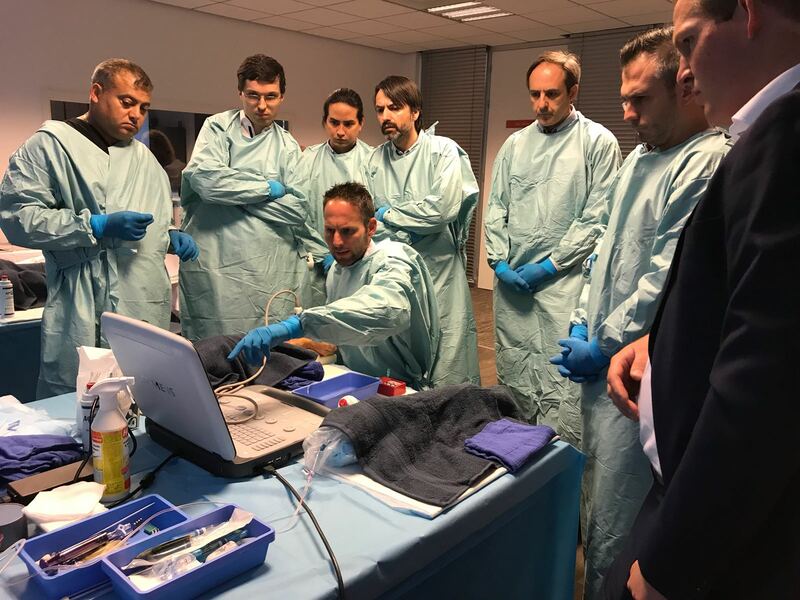 To enable physicians to benefit from TRA-practices, Dr. Ferdinand Kiemeneij (Interventional Cardiologist, The Netherlands) and Dr. Darren Klass (Interventional Radiologist, Canada) hosted another ThinkRadial program on June 28 and 29th in Maastricht, Netherlands. Dr. Ferdinand Kiemeneij, honoured at the 2018 EuroPCR meeting as one of the pioneers of the transradial approach for coronary catheterization and intervention (TRI), presented to the participants the left distal radial approach. 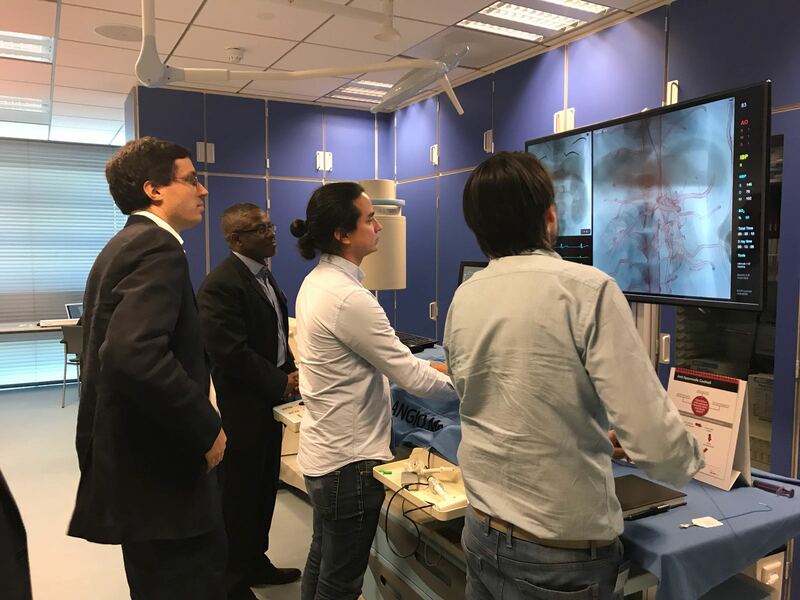 Physicians from 11 countries joined the programme to experience an effective combination of research-based learning and practical ‘tips and tricks’. After a mix of theory and practicing TRA procedures in simulation lab sessions and with cadavers, all participants left with the knowledge and skills needed to develop their own TRA practice in their hospital. Interested in joining the ThinkRadial Community? Merit Medical organizes ThinkRadial courses across the world. Please check here for the next course date. Looking forward to meeting you there! Jolly, S. S., Yusef, S., Cairns, J., et al. (2011). Radial versus femoral access for coronary angiography and intervention for patients with acute coronary syndromes (RIVAL): A randomised, parallel group, multicentre trial. Lancet, Apr 23;377(9775):1409-1420. Valgimigli, M., Gagnor, A., Calabró, P., et al. (2015). Radial versus femoral access in patients with acute coronary syndromes undergoing invasive management: A randomised multicentre trial. Lancet, Jun 20;385(9986):2465-2476. Fischman, A. M., Swinburne, N. C., & Patel, R. S. (2015). A technical guide describing the use of transradial ac cess technique for endovascular interventions. Tech Vasc Interv Radiol, Jun;18(2):58-65.